Much of Croll Reynolds’ success in today’s global marketplace can be credited to our early efforts in establishing marketing and manufacturing centers offshore. During the 1950s Croll Reynolds sold 90% of The Company’s vacuum systems to the US market. Today, the majority of our sales are offshore. Croll Reynolds recognized the growing offshore opportunities in the 1970s and responded in establishing sales service and centers in Asia, The Middle East, Europe and South America. An added advantage of our global presence is the cultural diversity of our sales and engineering departments staffed with professionals who are conversant and knowledgeable in the broad markets that The Company serves. 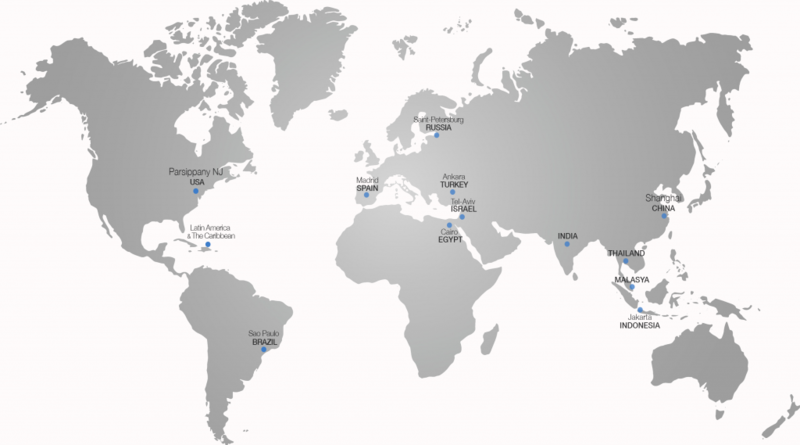 As you can see from the map above, Croll Reynolds has a worldwide presence, with manufacturing facilities in US, China, and India. And sales and support offices throughout the world.